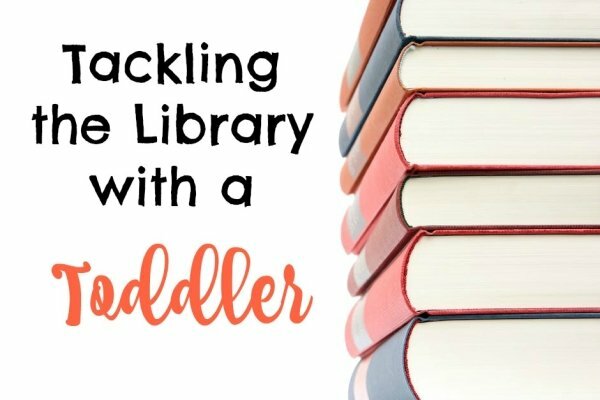 Tackling the library with a toddler is a major undertaking, but with enough practice it can be done. Establishing a consistent library routine early on, will help to build a solid reading foundation and instill a lifelong love of reading that will forever benefit your child. Research supports that reading to children in the first five years of a child’s life is critical for brain development. Exposure to a library allows children to explore thousands of books and magazines that they would have not known existed. Plus, being exposed to a variety of genres will allow toddlers to ask questions and develop new interests, as they explore the world around them. Read on for a few tips to save your sanity when visiting the library with a toddler! Place a time limit on your visit and leave before a tumultuous toddler meltdown. Set a timer and make a beeline for the checkout counter when it goes off. 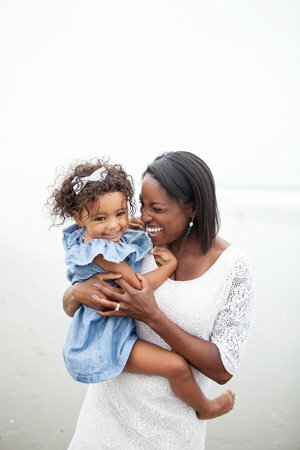 A toddler will probably last about 20-30 minutes before becoming restless and trying to move on to the next activity or having an epic tantrum. Placing books on hold is critical to a successful library visit. Place a few high interest books on hold before your visit that you know your toddler might enjoy, so that when you arrive you’ll have a few books to read together. Let your toddler pick 2-3 new books and add those to the pile. A special personalized library tote can also make taking home books extra special. Don’t forget to place books of hold for yourself, too! Most libraries have a toddler story time with interactive stories, music and puppets that parents should definitely take advantage of. Reading aloud to young children not only introduces new vocabulary, but models fluent reading and helps to build foundational reading skills. Story time is also an opportunity for toddlers to socialize with peers, as well as meet the librarian. Establish a routine and try to visit the library at least twice a month. Since young children thrive on routine, toddlers that visit the library on a regular basis, are more likely to form positive reading associations and become life-long readers. Plus, borrowing books is FREE, which means that you can always get your hands on new releases and a variety of genres, while saving a little money! What are some of your tips for tackling the library with a toddler? Our favorite time for library visits is during story or craft time! Definitely a great way to help instill an early love of reading. Hi Brandy! Thank you so much for checking out my latest post. I agree that library craft time is amazing for the little ones! We are getting excited for our Valentine’s Day craft next week!